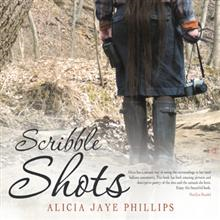 Alicia's first book, Scribble Shots, is a collection of her photography shots from rivers' land of the Wabash and Ohio River valley. Some of the shots are of dated structures that are either no longer standing, or soon to be gone. Many of the shots are of beautiful and seldom seen areas in the rural tri-state where Southern Indiana-Illinois and Western Kentucky merge.